There are a large number but they are in sequence of the demo. 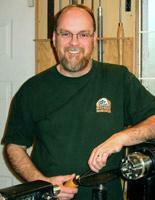 Trent is a master of wood turning combined with the artistry of carving and decoration. He turned a hollow form which he carved to look like a flower bud into which he inserted an internal piece using boiling water and balloon trickery. Hollowing was done using a camera and video monitor to locate the cutting edge inside the piece. 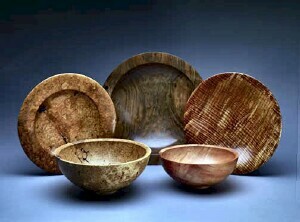 He turned a platter, the edge of which he carved using a variety of air driven cutting, grinding and sanding tools. 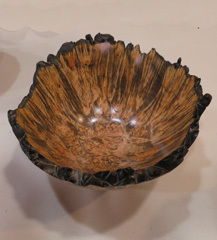 He turned a bowl, the side of which he decorated using another variety of tools. Rudy did three turnings. He turned a crotch with wings. 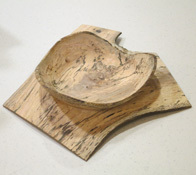 The outside of the log became the inside of a bowl with natural edge. The three branches of the crotch remained turned thin. He turned a tall goblet with long thin stem. Starting with a branch he finished with natural edge rim and base. He turned a large goblet also with natural edge rim. 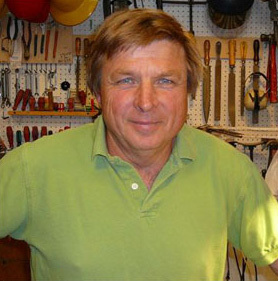 Carl Jacobsen is a prolific YouTube purveyor of woodturning videos, with 166,825 subscribers and 24,486,933 views since April 2007, with projects spanning the interest of beginners to advanced turning. Carl showed 'basket illusions' using a beading tool, wood burner tool and playing cards. He made an automotive shifting knob from spalted wood with an over spray paint chip turned into a highlight. Finally he turned a lidded box. He showed clever techniques for holding base and lid to turn the ends. 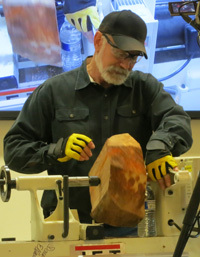 The demonstration was held in the SVW shop at the Santa Clara High School. Sally covered a range of topics. Jewelry...she showed us tips and techniques of making small forms that can be combined with in various ways to create a jewelry item. Boxes...turn a box using wood or a sea urchin. She had a facinating description how to create very artisitic pieces. 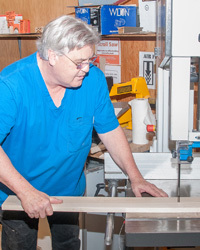 On April 29, Mr. Don spent the day with us discussing bandsaws. We spent the morning covering how to tune up the bandsaw. Everything from blade selection to crowning the tires. By lunch, we had a smooth operating saw. One tip we all walked away with was use BladeCoat. After lunch we covered the jigs that Don is selling. 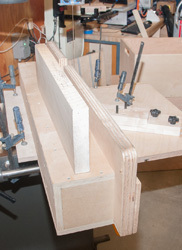 The jigs are made for easy customization to fit any bandsaw. Helping with resawing, circle cutting, as well as making it possible to cut repeatable curves for things like Justin Beaver demonstrated for us a few years ago. The demonstration was held at the Bridges Church. 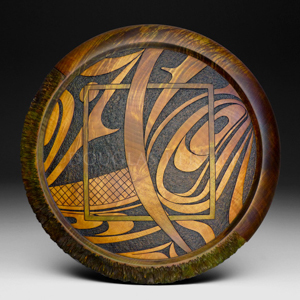 Brad focuses on bowls and hollow forms with emphasis on esthetics. The wood he uses either attracts interest in itself or is decorated to create that interest or both. The demonstrtation was much about process, the how to, the descrition of tools and equipment. But it included actual turning demonstration. If you do it right, it goes quickly and easily with good results. The demonstration was held at the Bridges Church. She did no wood turning, but instead she showed us how to create Celtic knots and to do specialized carving. 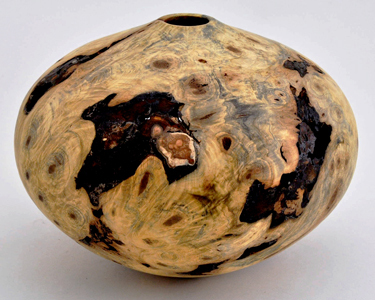 The Celtic knot is an interesting example of artwork to grace the surface of a woodturning. 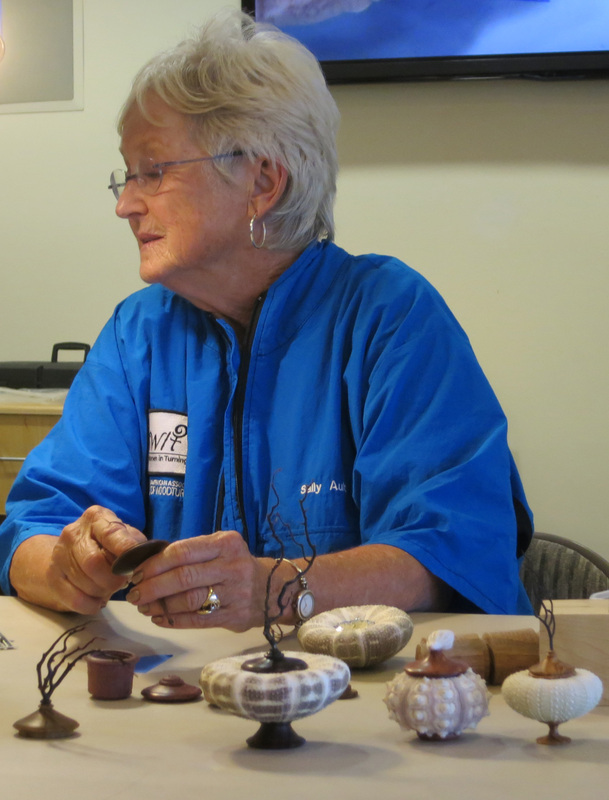 Sharon is an expert at creating the outline and implimenting it by burning and she showed us how. Much time was spent discussing the burning tools and describing and demonstrating burning the design into the wood. Additionally she demonstarted power carving, an example of which was the carving of feet on a bowl. Ashley Harwood is a good study on technique. She provided detailed instruction on all aspects of bowl turning. Tool grinding and angle, standing, holding the gouge, tool selection and other aspects were covered. It was good instruction and good review for advanced turners. Interesting how every professional has his/her own method of grinding. Pieces turned during the demonstration had good finishes, requiring only light sanding before finishing. Did you make it to Eric Lofstorm's demo? If you didn't, you missed a a good time with several projects. His tool control, particularly the skew, was definitely impressive. He started showing us "the dance" and comparing the body motion to Japanese woodworkers. Unfortunately, it is a very hard motion to duplicate. He then turned a top, using just a skew, but one with his grind. He showed us a cheap homemade chatter tool, and some SeaHawk coloring. Next on tap was a lidded box, with a really nice feel for the lid. All this in the morning! Two more projects wrapped up the afternoon. Held at the Santa Clara High School wood shop in conjuction with the Silicon Valley Wood Turners. John brought us into the world of wave vessels. He created and in clear detail showed us how to create such vessels. Turning the rough vessel appeared normal enought. But then he showed the the fixture used to hold the work on a bandsaw. As part of the demo he cut the wave with the saw, showed how to return the piece, re-assemble and finish. Wow! Glenn Lucas is from Ireland, a production turner who uses choice Beech from the Irish woods. His demostration consisted of turning a plate and a bowl mixed with a slide show, video, comprehensive discussion of tool sharpening and a good dose of Irish talk and humor. 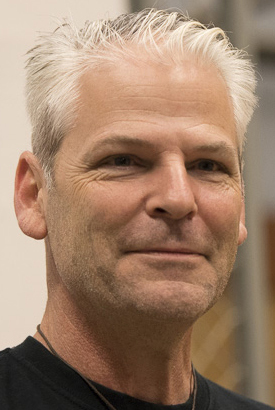 Mike is a professional wood turner who is featured in galleries across the United States. His day long demonstration was instructive and entertaining. It was also inspiring. More than one of us ran home and turned an urn, resharpened our gouges, practiced our bowl turning, checked out our McNaughto coring tool or tried cutting threads. If he can do it in one hour, why does it take me three? The turnout was great. Sixty turners and would be's watched for 6 hours and would have stayed longer if the schedule allowed. Ray is a wizard with boxes, platter rims and bowls those who went came away with a world of knowledge..
David Ellsworth on March 9, 2014. 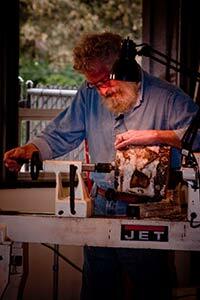 46 woodturners turned out to see master woodturner David Ellsworth on Sunday, March 9, at Covington School. David entertained u res, taught us andfreshed us on how to turn wood. 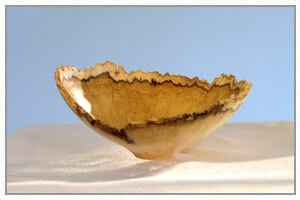 He turned two natural edge, one rimmed bowl and one hollow form. Video and brief report: Here! 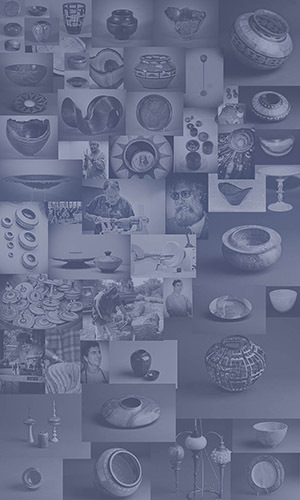 Brochure: details and report added at this Link. Demo page: details and report. Joint with SVW. A link to his website is here. 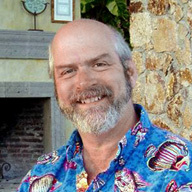 J Paul Fennell on Oct 9, 2011 -	Hands-on session on Oct 10. See the report and videos here. His website is here. 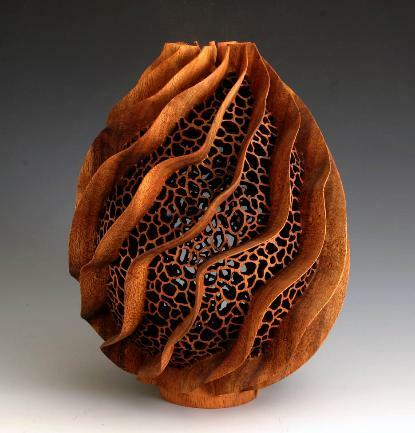 He makes hallow forms with carved outer surfaces. Paul did a fine job of showing how he accomplishes the pieces shown in the pics at left and right. Thanks to Lonnie for hosting and to Paul for a fine demonstration of his work and methods. See this link for more details on this demo. Thanks for Jim and Dan and others for hosting and setting up this demo. 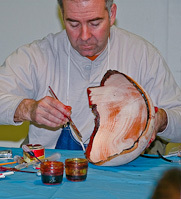 Chris is the all-round woodtuner artist. An excellent and creative turner, bleaching and dying expert, painter and finisher. 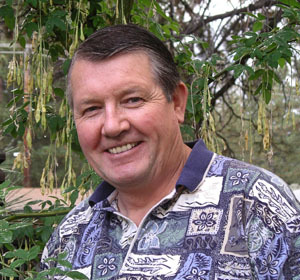 His pieces are true works of art, prompting wonder, respect and inspiration in all of us. Mike is a two-timer at West Bay Woodturners. But always interesting, instructional and insprational, come as often as you can, Mike, We'll come to watch. With Malcolm it's about segmantation. He is a master. This demo had a short slide presentation of his work, hand-outs for the material source, and a demonstration of the inlay process. His work includes coloring and stone inlays that go far beyond just filling cracks. He uses a number of different kinds of stone. David is also a two timer. Always a pleasure, David!